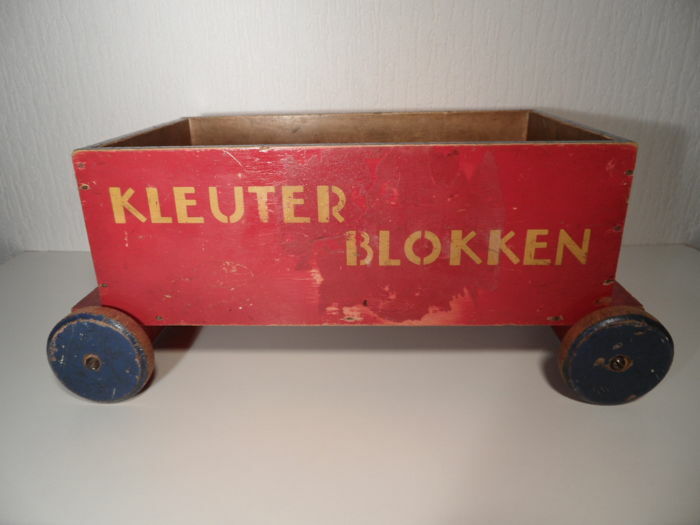 Original cart with blocks Made and lacquered by hand and comes with its original brand tag. 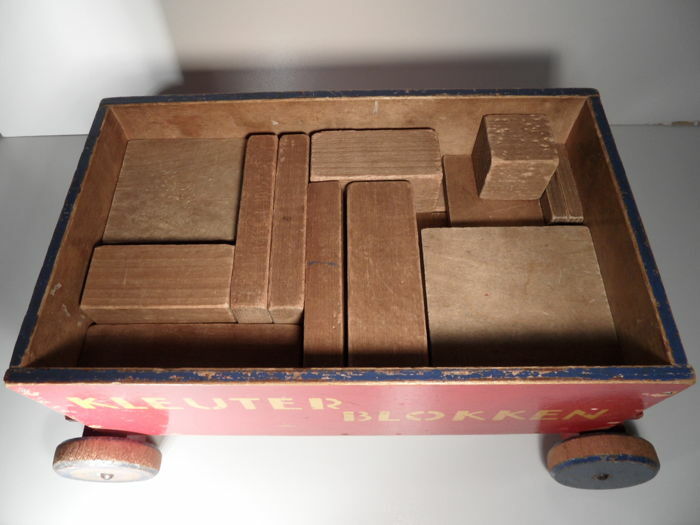 Comes with 66 matching, unpainted wooden blocks in various shapes. 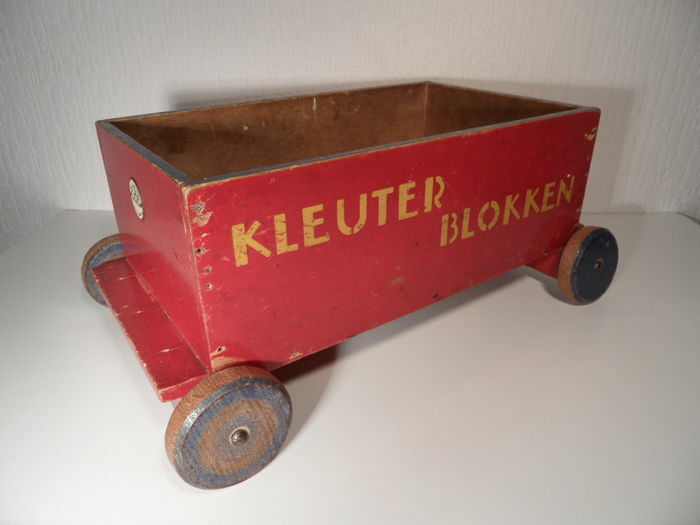 The cart was designed by Ko Verzuu (1901-19871), who was in charge of the ADO workshops. 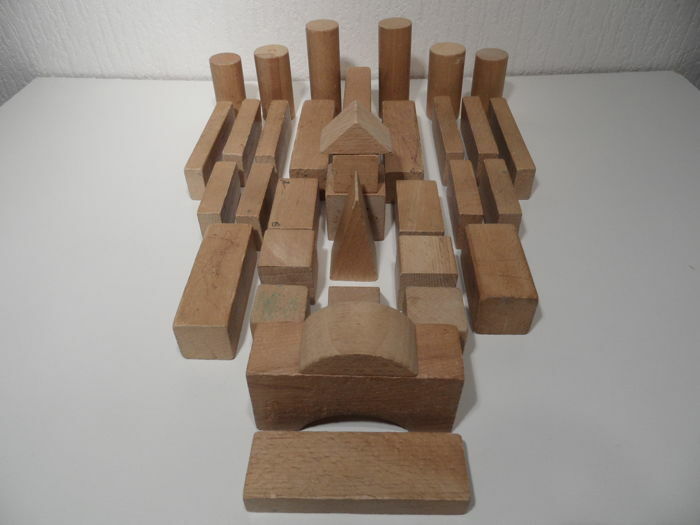 During the designing process, Verzuu was inspired by the Dutch art movement 'De Stijl' (The Style). 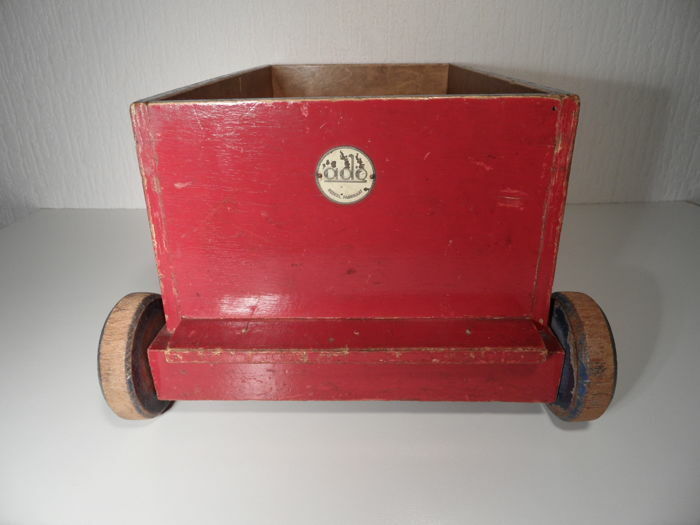 The combination of abstract shapes and primary colours explains the large appeal the ADO toys have. 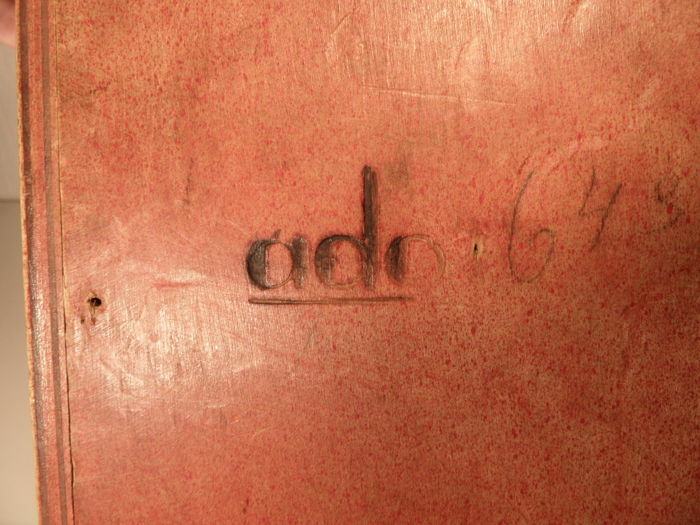 ADO's origin can be found in the sanatorium 'Berg en Bosch', which established itself in 1920 in Apeldoorn. In 'Berg en Bosch', occupational therapy was applied, for the first time in the Netherlands, to tuberculosis patients who were a bit better off. 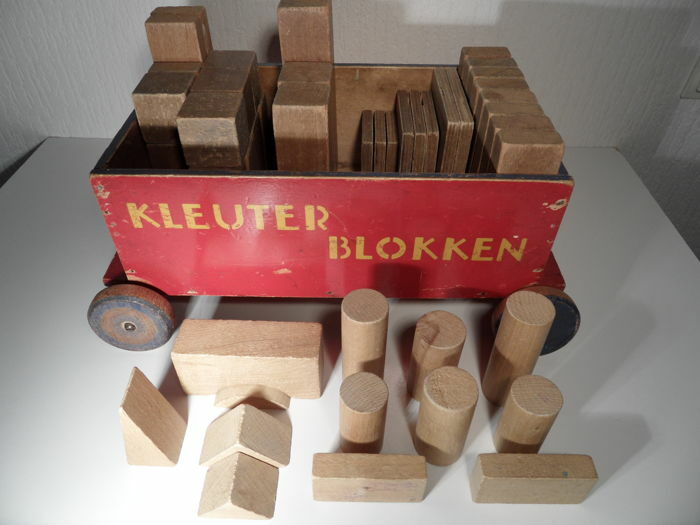 One of the forms of occupational therapy was the manufacturing of these wooden toys. 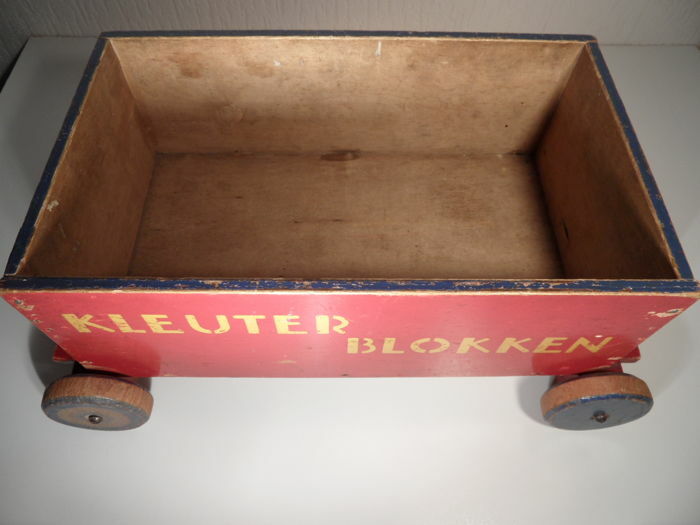 The toys got the name ADO (Arbeid Door Onvolwaardigen) (Labour by the Disabled), but this was wisely changed in 1962 to Apart Doelmatig Onverwoestbaar (Separate Efficient Indestructible). 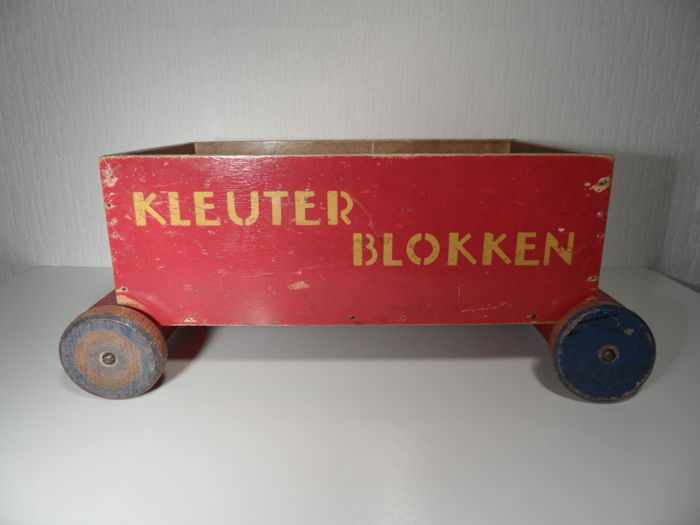 A historic toy. 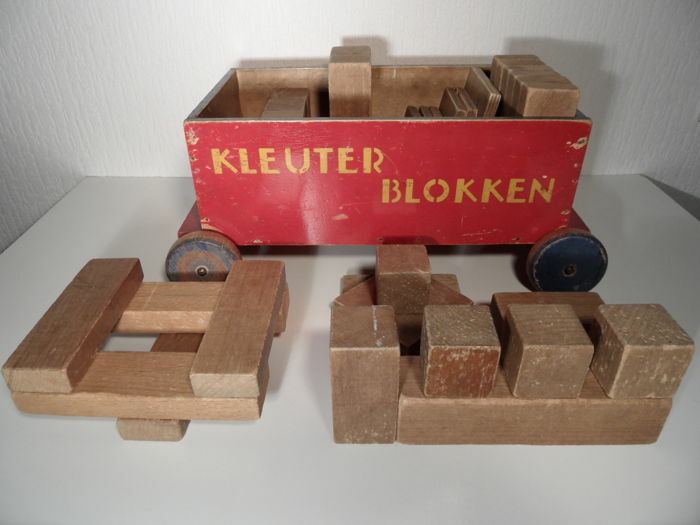 The cart of blocks is depicted in the ADO catalogue 1934-1935 at no. 643. 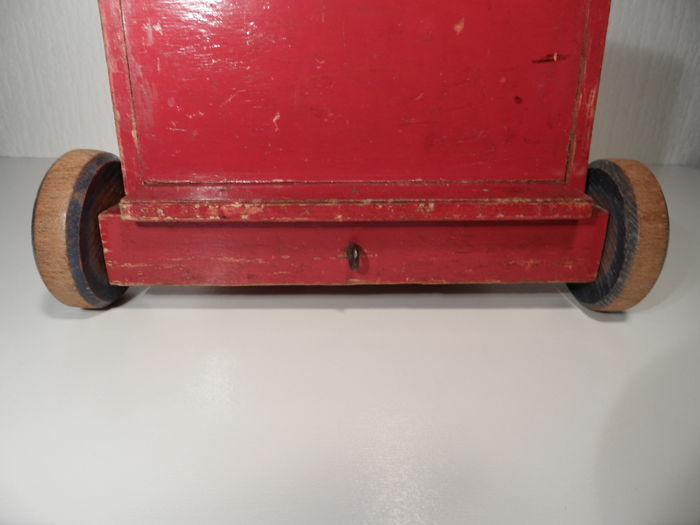 Condition: The cart of blocks is in used condition and shows some clear signs of use and age. 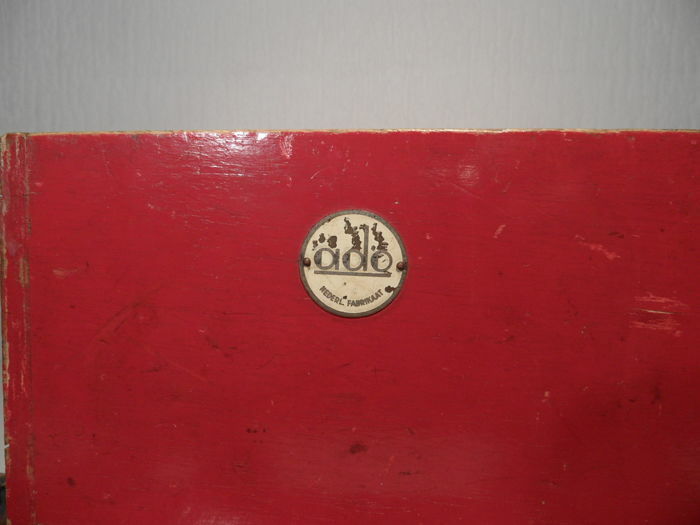 Otherwise in original condition. No flaws. The lot will be packaged carefully, and shipped registered, insured. Tracking available. 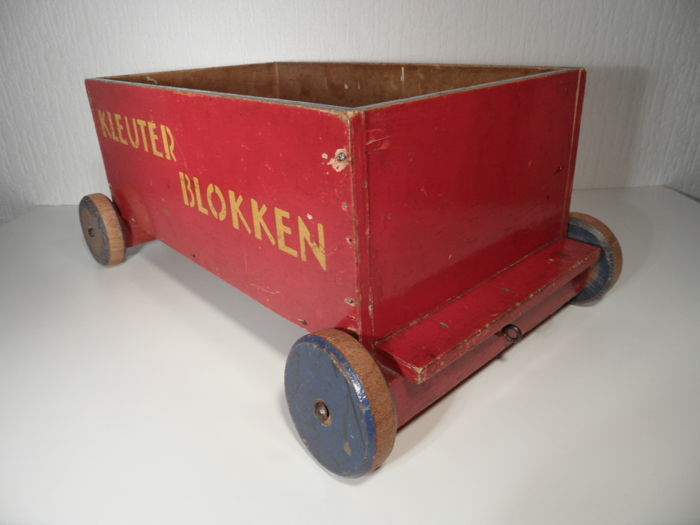 Can also be picked up in Rotterdam-Kralingen. Nice tiles, well-packed. 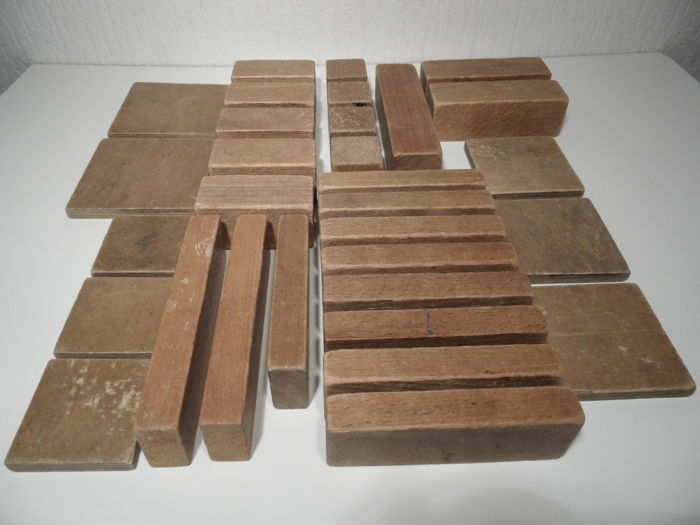 History of tiles was provided and was appreciated. Fantastico! Qualche problema con la spedizione, ma non per colpa del venditore che è stato veramente molto disponibile per risolvere il problema! Consigliatissimo! 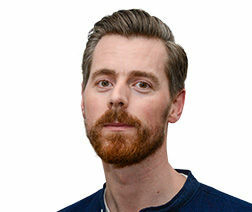 Bin bis zum heutigen Datum sehr zufrieden.